Moth with a golden lining! Am travelling from today. Be back on Thursday! This picture would look Spooky On a Shelf. 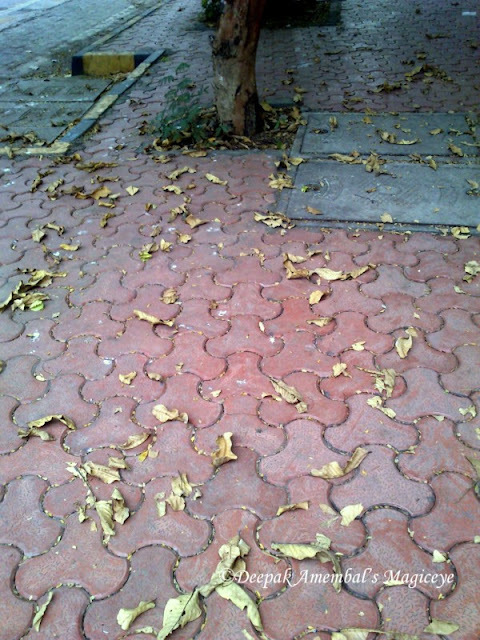 Fallen leaves litter the pavement in Bandra Kurla Complex. Overflowing on the railway tracks in Bandra. 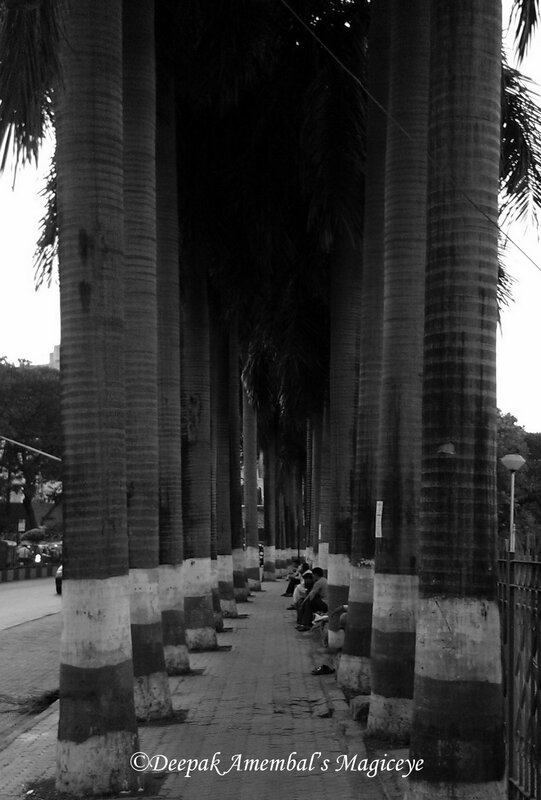 A palm lined path in Bandra. 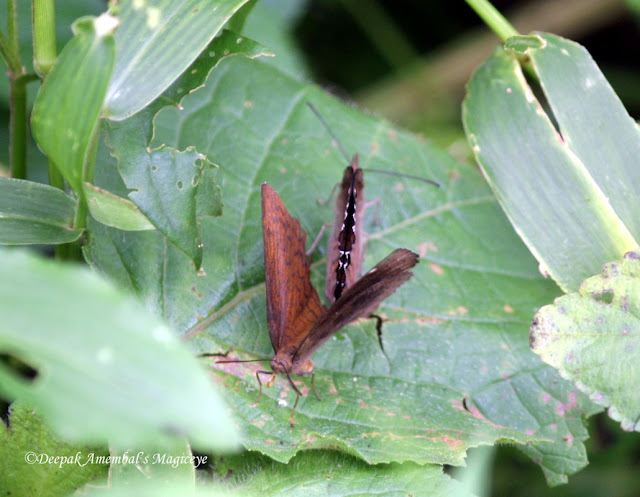 A pair of critters in the Maharashtra Nature Park in Mahim, Mumbai. A Sassy bird - the crow, at the Maharashtra Nature Park in Mahim, Mumbai. The Mumbai sky last evening with a sliver of a moon. 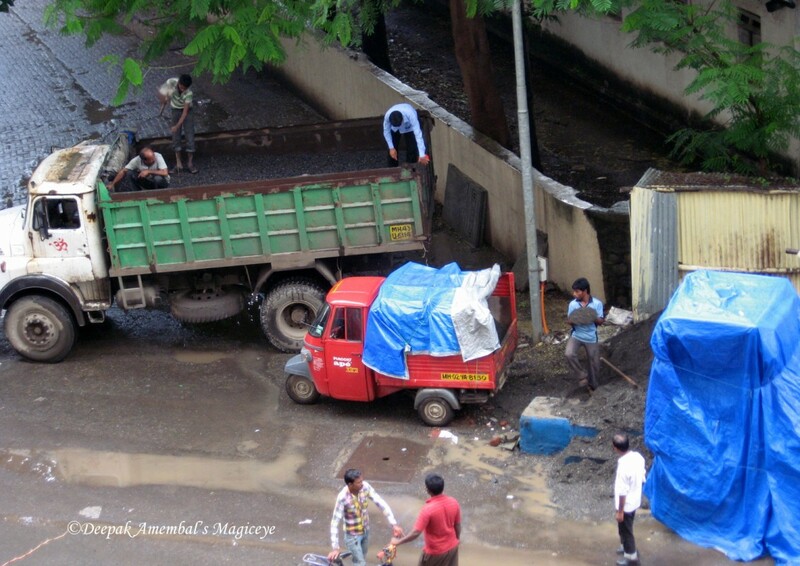 A familiar sight in Mumbai with lot of construction activity going on. Nap time! Catching 40 winks for stress relief - a common practice in Mumbai. Glass, steel and concrete interspersed with greens at the Bandra Kurla Complex. Am going on a bike trip today and tomorrow hence shall visit all your lovely blogs on return! By the sea in Shivaji Park. A stray in Kala Nagar, Bandra East, loves being the center of attraction! Into the dark Empty sky rises the Bandra Worli Sealink from the Water, bathed in pink by Estee Lauder to create awareness of breast cancer. A dull grey October Mumbai sky last evening. Feelings of Happiness expressed at a fine job done of painting the walls creatively at Dadar, Mumbai. Two Mercedes cars with a Mumbai police jeep on the Mumbai streets! Rains at night in Bandra, Mumbai. 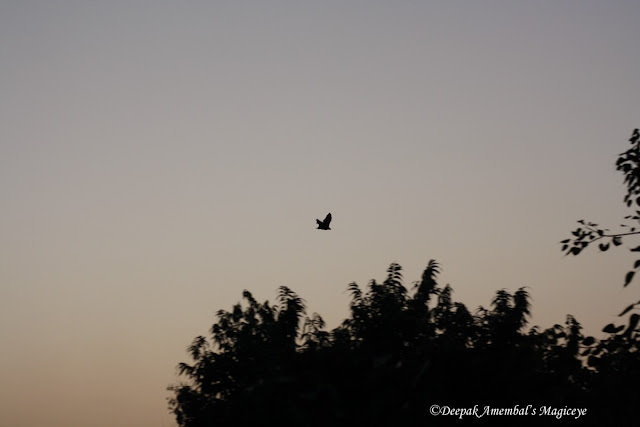 A butterfly at the Maharashtra Nature Park in Mahim. 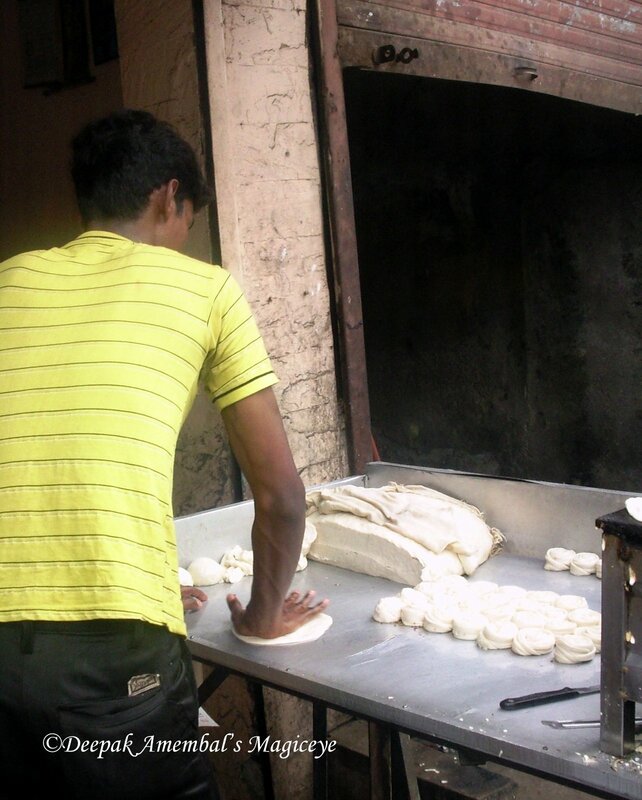 Hand made rotis (bread) in an outdoor Kitchen in Sahar, Mumbai. The 10 day festival of Ganesha was just concluded in India. Lightning in Mumbai! This is the first time that I have captured lightning! 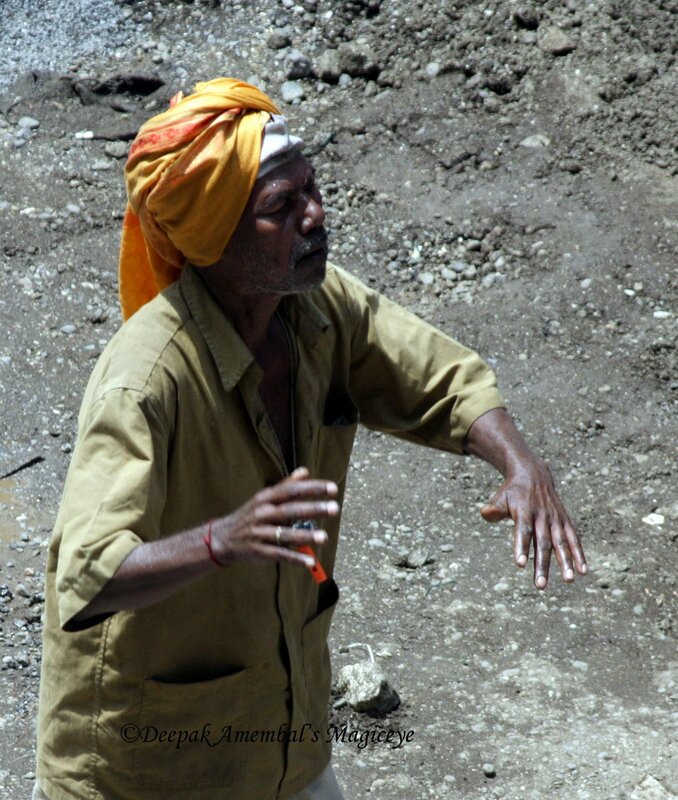 A Ganesha devotee dancing in bliss at the just concluded celebrations of Ganesha Utsav in Mumbai. 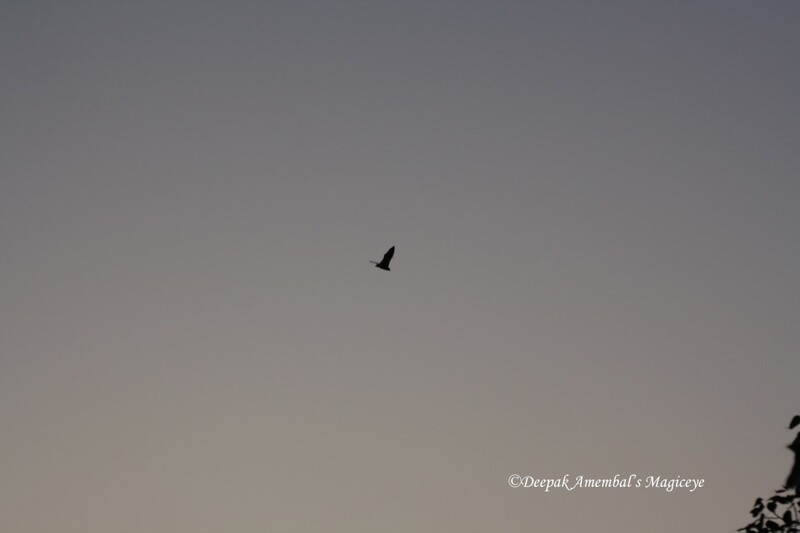 A Silhouette of a bat in flight in the Bandra skies!